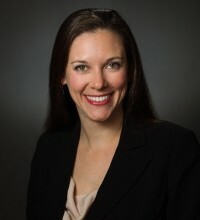 Catherine Glenn Foster, J.D., M.A. Catherine Glenn Foster is an attorney in private practice. She is a former litigation counsel with Alliance Defending Freedom at its Washington, D.C., Regional Service Center, where she was a key member of its Life Litigation Team to protect the sanctity of human life. Foster earned her J.D. at Georgetown University Law Center and also holds a M.A. in French from the University of South Florida and a B.A. in History and French from Berry College. She is admitted to the bar in Virginia. Her writing has appeared in numerous publications, including The Federalist, The Washington Examiner, Townhall.com, American Thinker and many more. She has worked on topics from euthanasia and assisted suicide to abortion and maternal health, health and safety regulations, conscience protections, and constitutional aspects of the right to life. This report outlines Charlotte Lozier Institute and Alliance Defending Freedom’s research in identifying waste, abuse, and potential fraud by Planned Parenthood affiliates and other abortion providers, particularly with respect to federal and state Title XIX-Medicaid reimbursements. In June, while the U.S. Supreme Court was sentencing women to the modern-day abortion back alley, Kentucky’s Court of Appeals unanimously, though temporarily, stopped EMW Women’s Clinic from performing abortions. On April 20, the U.S. House of Representatives’ Select Investigative Panel on Infant Lives will hold a hearing on “The Pricing of Fetal Tissue” in response to information brought forth by the Center for Medical Progress’ undercover video exposé. Charlotte Lozier Institute’s new associate scholar Catherine Glenn Foster, J.D. has been invited to testify as an attorney on the federal statutes governing fetal tissue research. Below is a preview of her testimony.